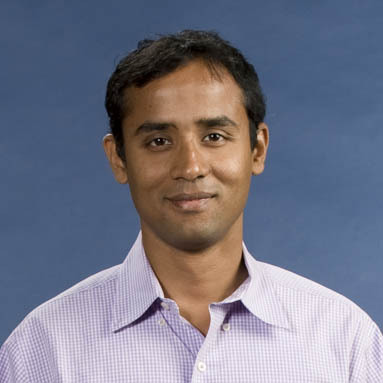 Krishna Kumar Venkatasubramanian, assistant professor of computer science at Worcester Polytechnic Institute (WPI), has received a three-year, $380,510 grant from the Massachusetts State Disabled Persons Protection Commission to develop a system to recognize, report, and respond to violence against people with disabilities. Venkatasubramanian, the PI on the project, said his research team is working to develop a technical solution for people with intellectual disabilities. The technology needs to be able to educate people about how to recognize abuse; alert police, along with family and friends, about any abuse; and offer moral support and prompt the user to talk with someone they trust. The technology also will tailor its advice to the type of abuse that has occurred. It might, for instance, advise the user to seek medical treatment or to not bathe immediately after a sexual assault. The technology, according to Venkatasubramanian, could take the form of a smartphone app, though other technology options are being considered. The project involvess a collaborative work between WPI, the Massachusetts-based Disabled Persons Protection Commission and Mass Advocates Standing Strong, an advocacy group for people with intellectual disabilities. Co-PI on the project is Jeanine Skorinko, professor of social science and policy studies and director of WPI’s Psychological Science Program, is the co-PI. Venkatasubramanian said the research is important research since violence against people with disabilities, a frequently unrecognized and under-reported problem, has reached epidemic proportions in the United States. The risk for adults with developmental disabilities of being physically or sexually assaulted is four to 10 times higher than it is for other adults. Reporting and taking action against perpetrators is critical, he added.